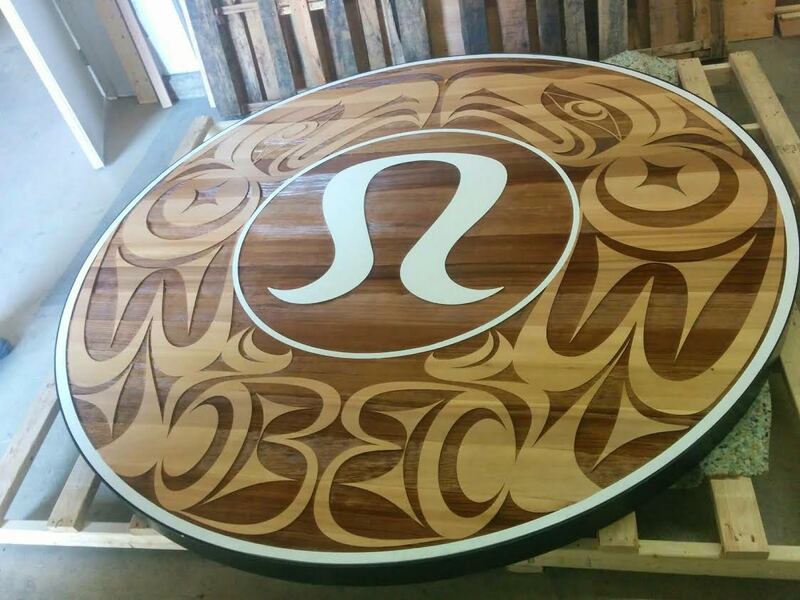 We collaborated with a local Salish artist Jody Broomfield to create this sandblasted cedar sign for the Lululemon Parkgate flagship store in North Vancouver. 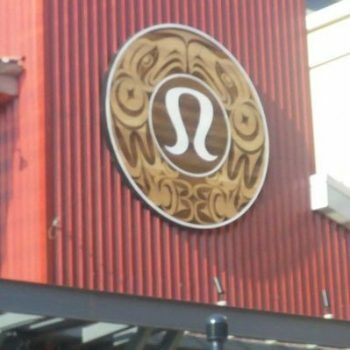 We combined sandblasting, metalwork and wood-engraving techniques. We thrive in collaboration. Jody did the design work, Studio One did the sandblasting and we did the fabrication and paint. High fives all around. 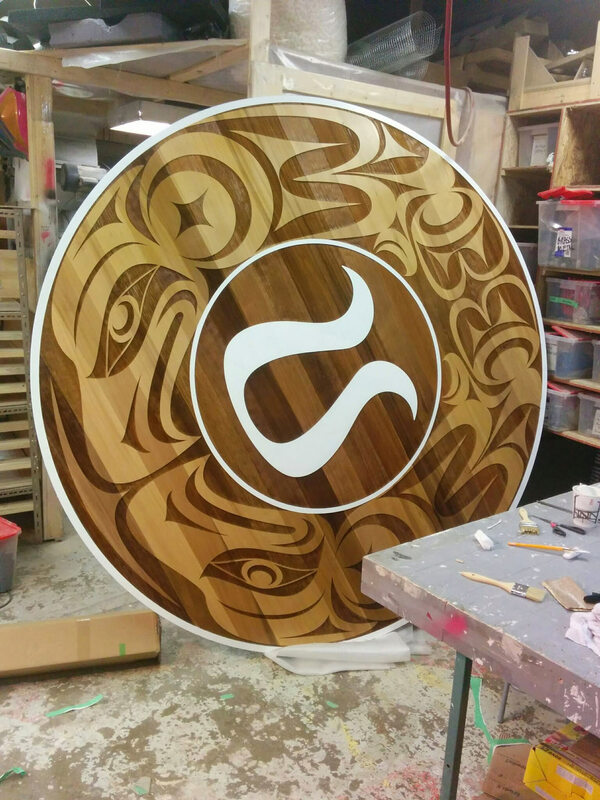 Trade secret warning — we’ve used the sandblast mask as a paint mask to give the western red cedar a two-toned look. Good luck trying this out on your own projects!